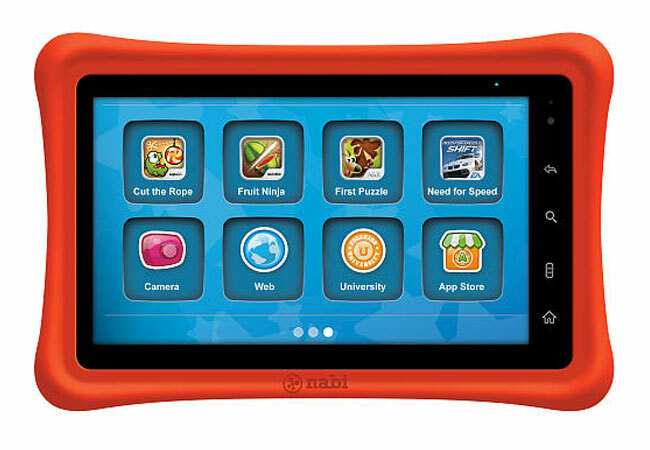 Toys R Us has teamed up with app developers FUHU, who produce kids friendly applications to produce a kids friendly Android tablet, called the Nabi Tablet, which will go on sale in December for $200. The Nabi Tablet features a 7 inch touchscreen display with a resolution of 800 x 480 pixels, processing is provided by a dual core 533MHz Cortex A9 processor and there is also a PowerVR SGX530 GPU. The Nabi comes with 4Gb of built in storage, a front facing camera and 1080p HD video playback, plus a 3,000 mAh battery and it will be available from Toys R Us on the 1st of December.